Losing an entire limb, or even a portion of a body part, will have profound and permanent effects on the victim’s daily life. 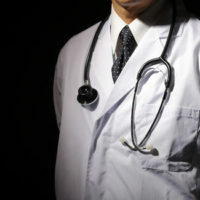 Amputations are normally associated with serious car accidents or construction-related injuries, but negligent doctors are also a source of these injuries, and could be liable under a medical malpractice claim. Whether the amputation was necessary to save the life of a patient due to inadequate earlier treatment, or the wrong surgical procedure was performed, the result is the same – avoidable life-altering injuries for which the victim deserves to be compensated. A woman who suffers from vasculitis, an autoimmune disorder that causes blood vessel inflammation, was recently awarded a $16 million verdict in a medical malpractice case after a doctor’s negligent care led to the partial amputation of her hands and feet. Who may be liable in these cases, as well as the types of damages amputation victims typically demand, will follow below. an infection that went undiagnosed. the hospital manager or coordinator. disfigurement and loss of the enjoyment of life. The unique facts of each case will determine which types of compensation are most appropriate, and an experienced medical malpractice attorney will know how to assess this pivotal issue. Losing a part of your body because of medical malpractice can never be fully compensated, but you do deserve some relief to account for the suffering and injury you experienced. The attorneys at the Miami law firm of Pita Weber Del Prado know how overwhelming medical negligence cases are, and have the resources and expertise to build a strong case in your favor. Contact us for a free consultation.